Welcome! This blog is about parenting and the issues associated with bringing up children. Whether you are looking for inspiration on your parenting journey or hard facts to help you decide what’s best for your child, this is the website for you. Based in Kuala Lumpur, Parenting Works was started to provide an online source of information for the parenting community. We bring together all sorts of useful information and resources to help you navigate the daily challenges of raising kids. Hi! I’m Eileen Lian and I write Parenting Works. When I had my first child, I chose to be a stay-at-home attachment parenting, breastfeeding and unschooling mum because I wanted my children to really feel the joys of living and learning. Two kids and 14 years later, I am thankful for having made those early decisions and grateful to the websites that helped me along the way. Before the children arrived, I was a journalist covering the information technology industry. After ten years of being a full-time mum, I suddenly woke up to the fact that the children had discovered that there was more to life than mummy – I guess it had to happen sooner or later! – and eased back into work as a freelance writer and editor. practised home birth, breastfeeding, attached parenting and now thinking of homeschooling. 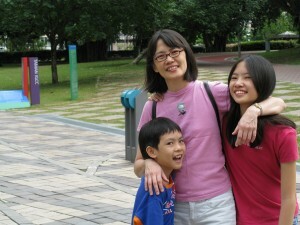 do u know of any homeschool families around kl or pj? we are worried that we can’t sustain the marathon of homeschooling. I’m raising one of my grandchildren, an 8 year old going on 20, and at present am being re-united with my inner child! Kids can do that to you so easily. So with the whole house now full of crayons, scissors, paper, bratz dolls, dress-ups and so on I had no alternative other than to join in the fun. Perhaps I can share some of the crazy ideas that keep popping up in my head all the time? Look forward to reading lots more crafty stuff in here often. Do you have any views and info about the few ‘home school centres’ in PJ area? My son is 5+ and currently going to a local kindie. I’m considering home-schooling him when he turns 6 or 7. Appreciate your views. There are many homeschool centres in the PJ area that one could consider. Most, however, ‘facilitate’ learning, i.e. no active teaching. Another option would, of course, be to homeschool at home. For me, homeschooling is all about following the child’s passions and internal timetable, allowing them to unfold their potential at their own speed. We must write an article on this in Parenting Works soon. What are your motivations for homeschooling, btw? After 8 years of learning about homeschooling, I finally decided to homeschool my youngest child who is currently four years of age when she turns six. I would like to mix and match curriculums to get the one that I feel my child would benefit the most. Would that be alright and would we be able to get a certificate or diploma when she complete homeschooling? That is one of my worries before I actually embark on deciding on the curriculum. I would actually prefer to teach her myself than sending her to a centre that she would be left on her own. I think mixing and matching curriculums is a good idea when the child is young. The thing about homeschooling is that there is great flexibility to tailor the learning to the child’s individual needs and inclinations. However when doing this, do keep an eye on the eventual goal, which as you mentioned, would be a diploma or certificate upon completion of homeschool. This could be the IGSEs, the GCE O levels, the SATs and so on. These exams can be taken as private candidates. When the time approaches, it may be best to start zooming in on the syllabus requirements of whichever exam it is you have chosen. I’ve a pair of twin girls (13 years of age) and an 11 year old girl. I would like to embark into this journey, but will take one step at a time, i.e. keep them in the public school for the time being. The eventual goal would be IGCSE. How should I start them off? Appreciate your advice.